In the movie “Welcome to Monster High™,” the students of Monster High™ unite to revel in the opening of the high school at the Dance the Fright Away™ celebration. 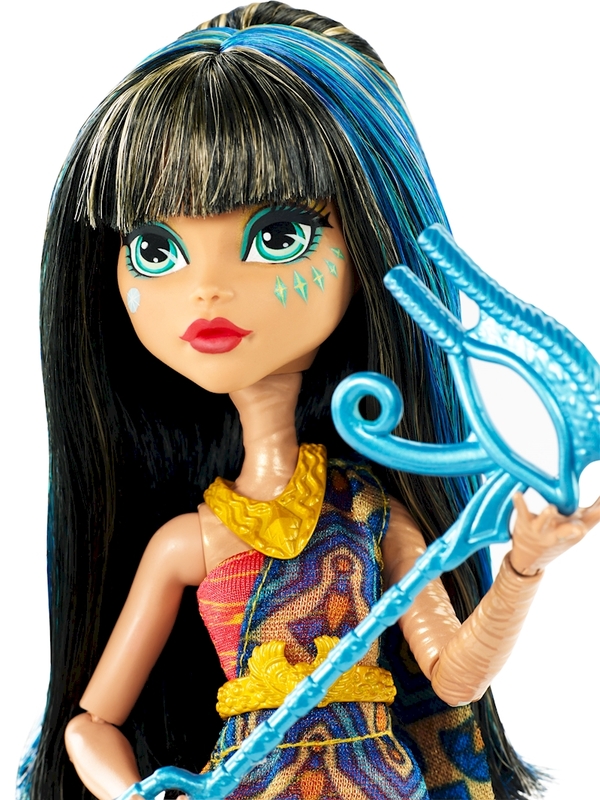 Clawdeen Wolf™, Cleo de Nile™ and Lagoona Blue™ dolls are flawesome in party dresses and glam ghoul makeup. To commemorate the skelebration, the ghouls are ready to hop into the photo boo-th with a clawesome accessory -- inspired by their monster legacy -- for freaky fabulous party snapshots! 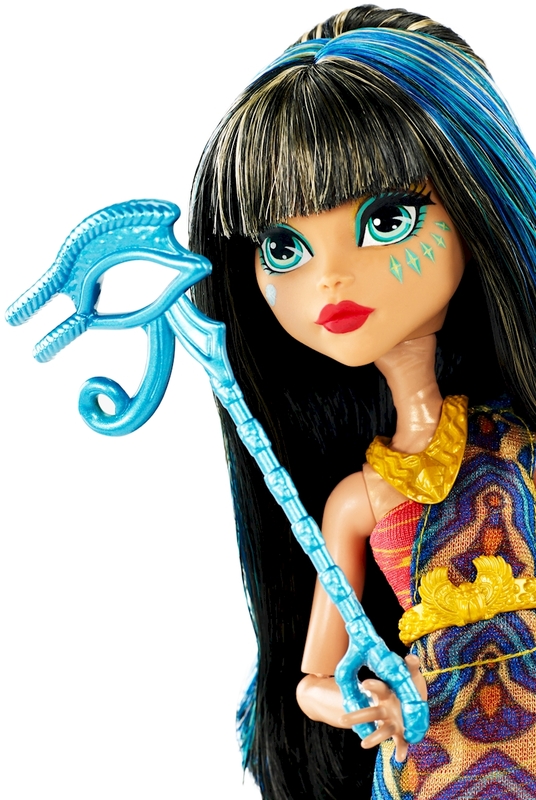 Daughter of the Mummy, Cleo de Nile™ doll comes alive in a red dress with a trendy blue and golden wrap that mixes Egyptian prints; a snake detail necklace wraps the look together. Golden and blue hairstreaks and matching gem makeup detail complete the dance party look, while golden snake-decorated shoes are perfect for dancing the fright away. 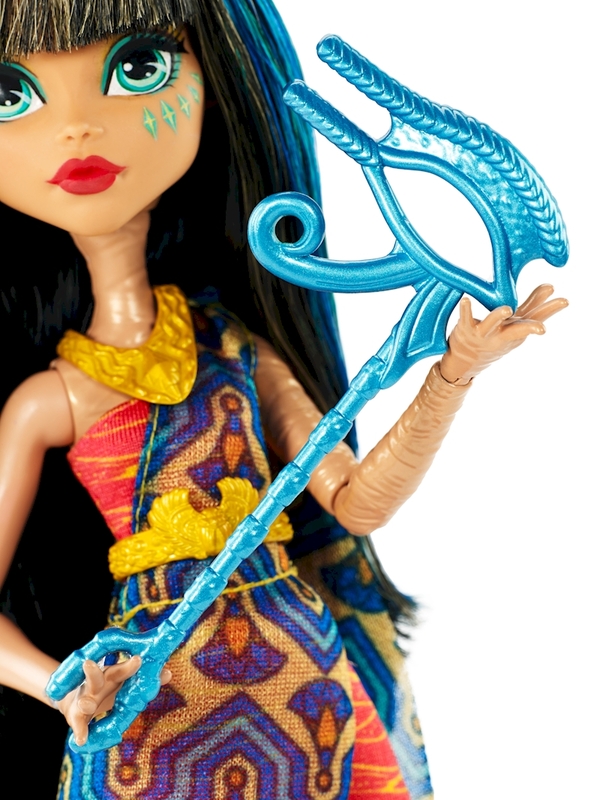 Plus, her golden hieroglyph-inspired eye mask will make for some fierce photos! Recreate favorite scenes, pose for scary cool party pics or tell new monster tales with this favorite Monster High™ character. 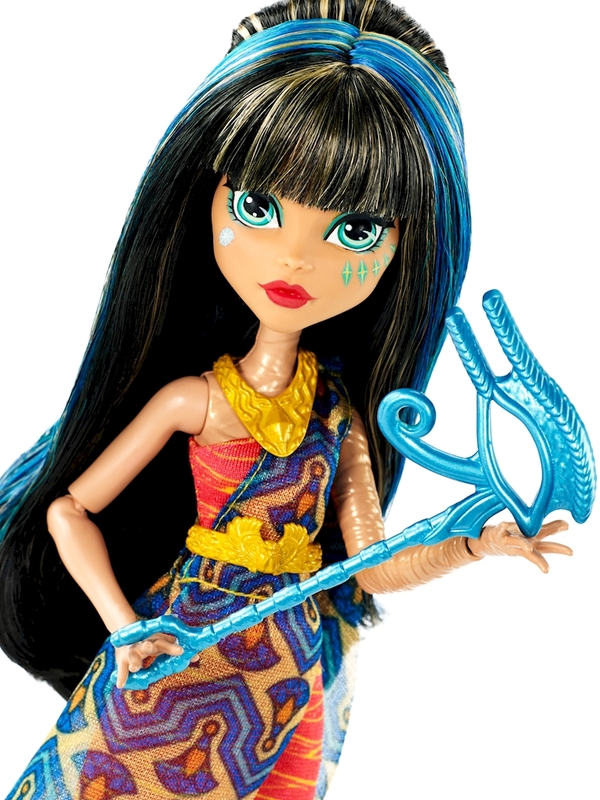 Check out the “Welcome to Monster High™” movie, and collect all of the dolls and accessories for your own stories of a monster world (each sold separately, subject to availability). 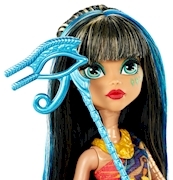 Includes Cleo de Nile™ doll wearing fashion and accessories with photo booth prop. Doll cannot stand alone. Colors and decorations may vary.